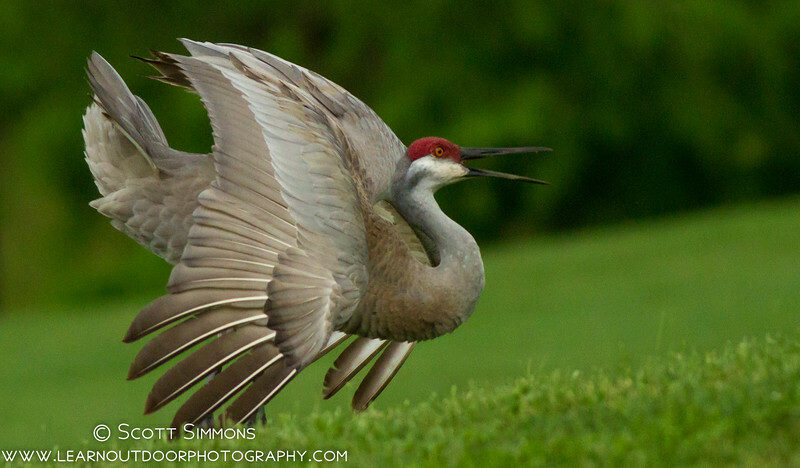 Sandhill Cranes are magnificent creatures. 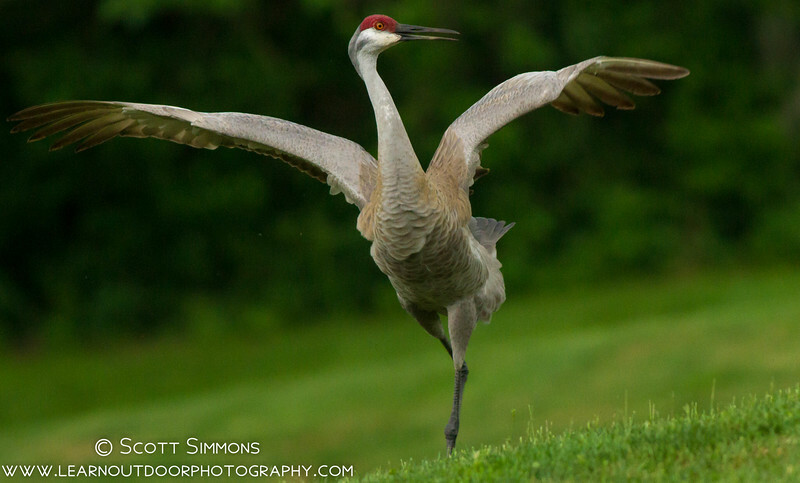 Many migrate down to Florida during the winter from their breeding grounds up north, but some nonmigratory birds stay here in Florida all year round. 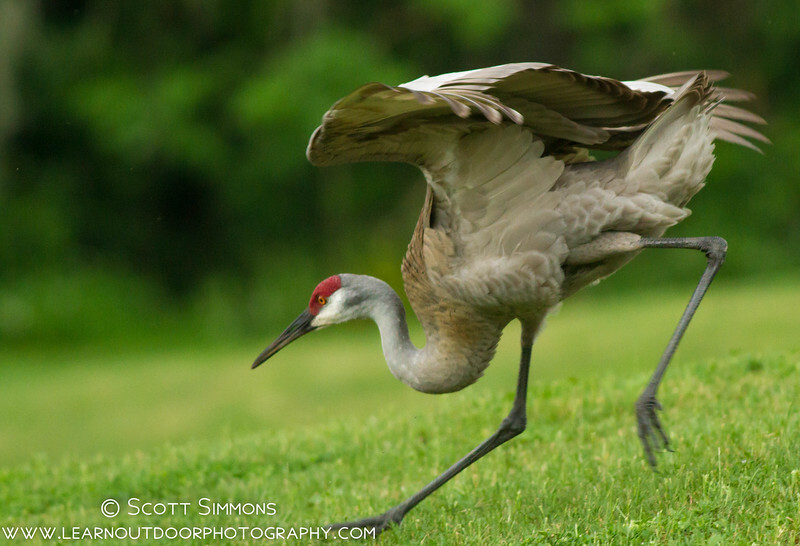 So we have the privilege of witnessing their beautiful courtship dance. 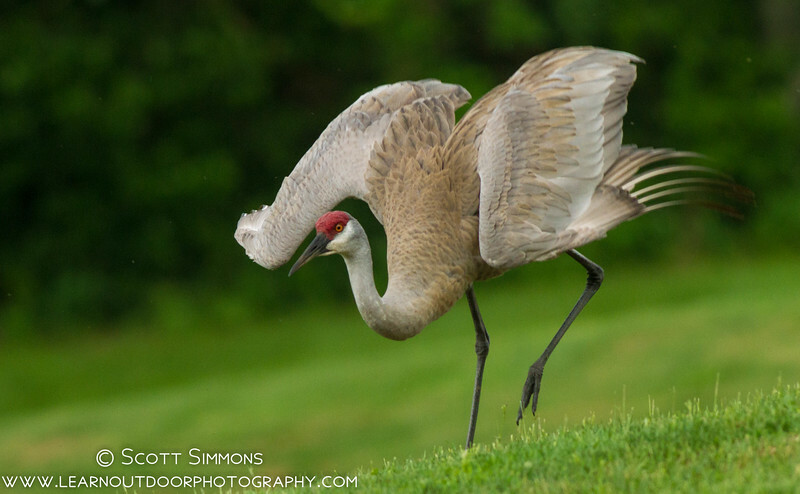 Sandhill Cranes mate for life, and they can be seen doing this courtship dance primarily during breeding season (though sometimes you can see it at other times of year as well). 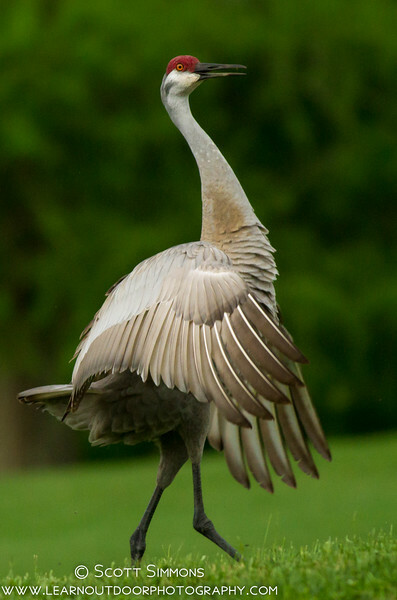 The dance involves the flapping of their wings, bowing their heads low, jumping into the air, and even throwing sticks they might find on the ground. Earlier this month I saw a pair at my favorite local warbler spot, Central Winds Park. I thought it would be fun to share a few photos of this extraordinary creature. Wonderful photos. I saw your comment on Eileen's linkup. Very interesting information! I've been documenting my Wood ducks, but your work is amazing!